In recent months I have relied on the thoughts of my readers in the production and release of my first published book, A Walk to the Water. And what marvelous contributors you were. Now drifting about the ether, I thought it the right time to share some of the wonderful feedback the book has received. So here it is. Holding a book launch in my home city, I was delighted to see many friendly faces. Trail Angels from the path were bountiful, and how fortunate we were for their help. After A Walk to the Water was released, I sent them all a copy. The Fondue family. We stayed with Mamie, Lea, Mauricette and Charlie for three days in France – their kindness was overwhelming. Here they are with A Walk to the Water in their hands. Hoeveterras de Vlienthoeve. Noor and Marte, along with the rest of the family, took us in for the night in Belgium. The trail was hard going that day and we were grateful for their hospitality. Of all the reviews received, my favourite are those written by hand. 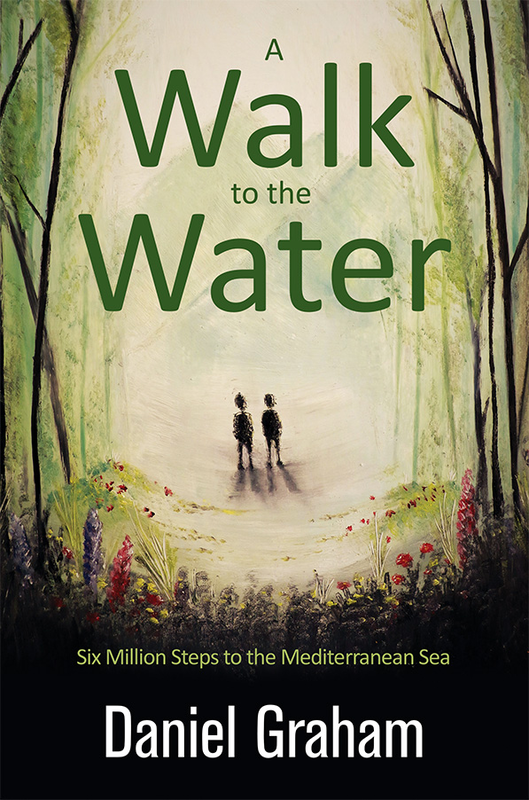 A Walk to the water has been featured in a number of realms, including The Great Outdoors magazine and Hostelling International. Some years ago I undertook a degree at Plymouth University on the south coast of England. My time there was invaluable. After hearing of A Walk to the Water, the university produced a case study. Yes, it was published in October 🙂 Incidentally, have you written a book? Or perhaps you have plans to one day? That’s wonderful, even if it is slow going. In fact, the writing process is so enjoyable, I wish I had gone a little slower on mine. I would love to hear from you once it’s done. You’ll just have to begin another one-person party! Right you are! Have you begun working on a second one? I have. It’s going to be an exploration of the British Isles from the perspective of a walker and naturalist. I find the process of writing so cathartic, I’m not sure I will be able to stop! Thank you Disha 🙂 I studied geography at university, impressive deciphering, but since then, some six year ago now, I have spent my time in many different places around the world. Any job will do me, so long I’m doing good things. Oh, and nature must be close by! And you? A professional wordsmith, perhaps? I knew it! So glad to hear your vocation is your avocation. It sounds like you’ve found your feet via the wonderful remedy of travel – an MA in creative writing sounds great. You clearly have an undeniable aptitude for books, for that I envisage you doing wonderfully. Where are you studying? I must say congratulations for your medallion, no doubt it deserved it. Actually, I would like to find out myself – where is the best place for me to buy a copy if based in the UK? I am so happy you got a hold of a copy of A Walk to the Water, and so too that you are enjoying it. Furthermore, thank you for you kind words regarding my blog. And you’re right, I think we ‘get’ each other.I certainly love the way you write, even the comments you give. Martha, would you mind if I used some of your words from ‘Blog Hop’ as a review? Danny, I have just finished reading your amazing book, about your equally amazing journey, and have to say that it was an awesome read! I really felt as though I were journeying with you, and your brother Jake, as your footsteps coursed from north to south, across so many miles. Your style of writing made it easy to visualise the countryside, and the ups and downs you both faced; both physically and mentally. You are lucky indeed to have your brother, a kindred spirit, to share your travels with, and it was nice that your story included snippets of dialog between the pair of you, which added another dimension to the telling of the tale. Leah, what kind words. You have no idea, or perhaps you do, of how wonderful it is to hear that our story has the power to inspire. Although that wasn’t our intention when we set out, it has been perhaps the most rewarding bi-product of the journey. You’re right, that moment high above the Black Forest as the moon filled the sky was a profound moment, for both of us. We often talk about it – there was some magic in the air that night that neither my words nor Jake’s photographs could fully capture, though that didn’t stop us trying! Where will you next walk take you? Have you walked in Tasmania? Tassie is next on my ‘walks’ list, Danny, as I wasn’t able to do the Overland Track this year, as I had hoped. No matter, their is always next year! I am not sure whether my hiking partner is still keen to do it or not, but either way, I will be going. It’s a bigger walk, with the 6-7 days needed to do it, and is therefore a bit harder to organise with work commitments, but I don’t intend for that to be a barrier. I have walked a bit around Cradle Mountain, as my sister used to live in Tassie, and when I visited, we would always go there for a wander. Beautiful country!